We don’t know, of course, how or even whether this interchange affected the woman. Kweli clearly respected her humanity and her good-if-misguided intentions, and perhaps that climate of respect opened her ears to something which she might not otherwise have been able to hear. Certainly he would not have sounded like someone who degraded women. At a minimum, if this woman encounters other people down the line who respectfully challenge her racist views by simply providing additional information and perspectives, she may think back to her encounter with that nice young man in the airport and begin to question her own thinking. As it happened, at the end of Sunday’s flight, Talib Kweli discovered that someone had taken his carry-on bag. He had been using his computer, so he still had that, but his other stuff, much of it important, was gone. He was certainly upset, especially right after making the discovery, but did recognize the possibility that someone took it by mistake and would return it “but if not, sigh and oh well.” With that, he wrote “someone tell me a joke I need to laugh lol” and shortly after “Ok, now someone tell me a funny joke lol.” There followed a series of retweets of some of the jokes his followers sent him. By showing grace in trying circumstances, acknowledging the truth of what was happening, holding to his core beliefs, being willing to look beneath the surface and see the human being behind the comments and actions, and using a sense of humour, Talib Kweli may well have turned what could have been a terrible, horrible, no good, very bad day into one that at a minimum had some redeeming qualities and some good moments. Those of us who are doing social justice work, not just anti-racist but also anti-sexist, anti-classist, anti-heterosexist and more, regularly encounter people like the nice lady in the Grand Rapids airport. It’s up to us to decide how to react, and in so doing, it’s up to us whether or not we (and to some extent they as well) will have a terrible, horrible, no good, very bad day. Although I have not taught French very often since Stoneleigh-Burnham opened its middle school program, it was my major in college and the focus for my M.A.T. 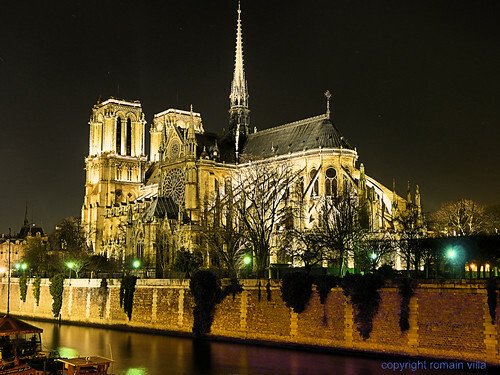 From my first night in France at age 16, when I enjoyed a delicious meal of couscous with my high school exchange group, was fascinated to see the waiter calculate our bill by writing on the (paper) tablecloth, and then took a short walk toward the Seine where I was riveted by the sight of Notre Dame glowing against the night sky, it was pure love. Forming a long-term friendship with my “French sister” on the homestay extended that love to an entire culture, a love that only deepened through a junior year abroad in Paris and a year-long exchange position as a “lecteur” (essentially a teaching assistant) at the Université de Bordeaux – III. For the first few years I worked at Stoneleigh-Burnham, I returned every summer, and some of my oldest and dearest friends live in France. In one of her short stories about The People, Zenna Henderson describes a young teacher arriving in the town where she has just accepted a job: “I paused on the splintery old bridge and took a good look. I’d never see Bendo like this again. Familiarity would blur some outlines and sharpen others, and I’d never again see it, free from the knowledge of who lived behind which blank front door.” Having lived in France, I understand only too well the advantages and disadvantages of acquiring that kind of familiarity. And as much as I appreciate the added layers of feelings and depths of understanding my time in the country has brought me, I sometimes miss that sense of freshness, of surprise, of pure, unexpected, love at first sight. I co-led a trip to France for SBS students in the late 1990’s. With an eye both to making the most of our trip and to keeping everyone awake as long as possible on the first day, moments after checking in, we took the students on a walking tour from our hotel in the Marais over to Notre Dame. 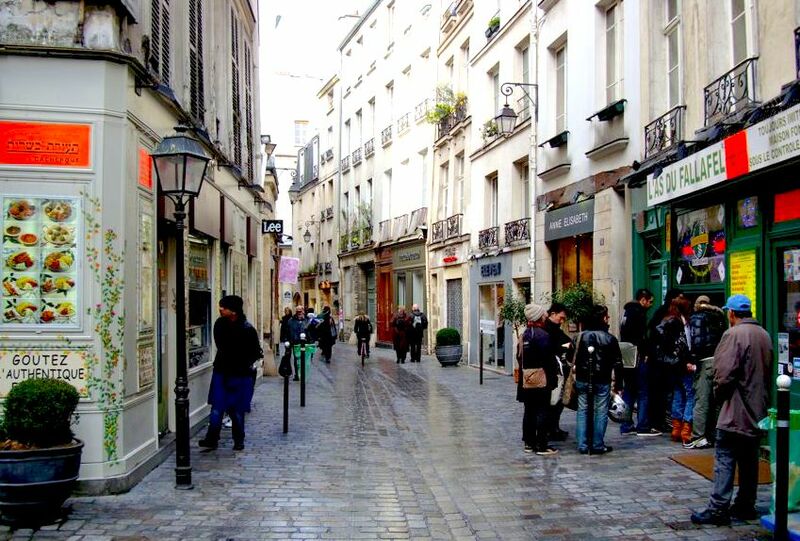 I happened to glance over at Nicole D. just as she gazed upward with a look of wonder, and said, “I can’t believe I’m really in the real Paris.” I smiled to myself, thinking “I know just how you feel” and taking delight in experiencing that feeling vicariously through my student. This fall, I will begin teaching a section of French for the first time in a number of years. As coincidence would have it, my father offered to bring my brother and me on a special trip to Paris this summer. Driving into Paris, surrounded for the first time in over a decade by the sights, sounds, and smells of the city, that sense of wonder washed over me once again as if for the first time. It will animate me in the classroom, even as I search to awaken a similar sense of wonder in each student in whatever way works best for her. Paraphrasing Aristotle, Michael Muir-Harmony, the co-lead teacher of Full Circle School (and father to one of my former advisees) once observed, “All learning begins in wonder.” In this context, the word can have at least two meanings. One is simply wondering about things, seeking answers to one’s own questions – the basis for so much of what our middle school students learn, especially in Humanities 7 where they design their own units. But the other meaning is magical in a different way, that sense of wonder and astonishment at the world around us, the connection and love to where we are and what we are doing. This, too, must be cultivated in Stoneleigh-Burnham Middle School students if they are, as is one of our goals, to move on as committed, internally motivated, lifelong learners.